The Art Deco exterior features frieze work depicting labor and culture and Gorham bronze doors guard both the Kennedy Plaza and Westminster Street entrances. A notable design element is the stepped massing, which derived from a New York City law that required tall buildings to be set back on themselves to allow light to pass to sidewalks below. This element is a prominent feature in other Art Deco skyscrapers like the Chrysler Building and The Empire State Building. The Industrial Trust Building predates both! 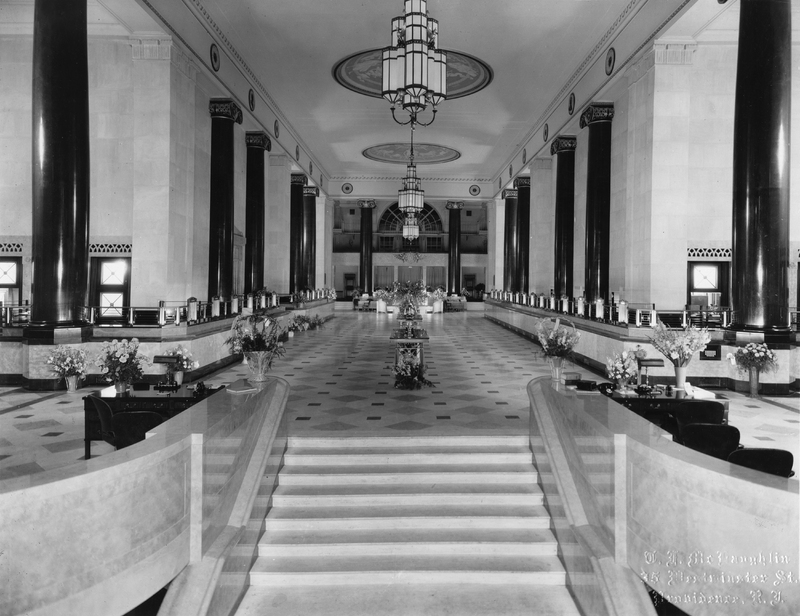 When constructed, the interior was a site of grandeur and prosperity; the lobby maintained extravagant fresh flower arrangements daily. Throughout its history, the Industrial Trust Building was home to a series of financial institutions, most recently Bank of America. Today it serves as a reminder for the potential of growth in the energized downtown. 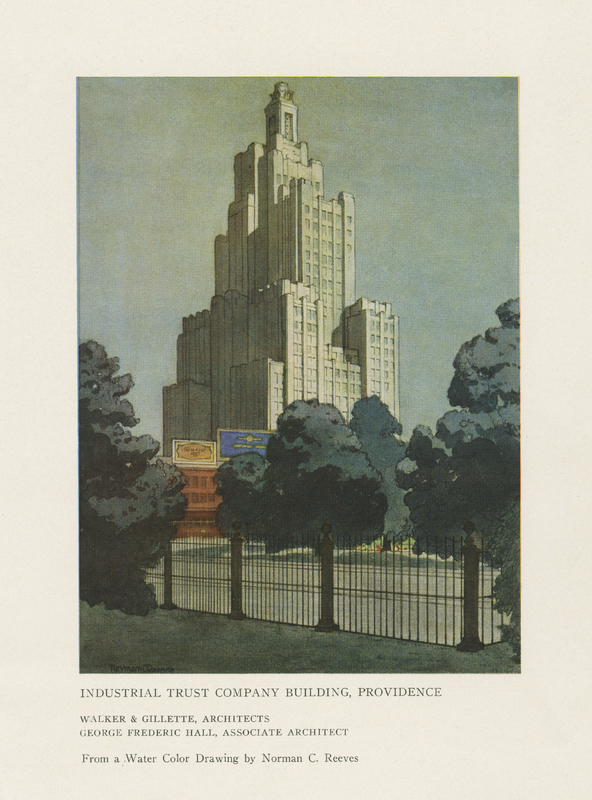 Watercolor of Industrial Trust Building: The Industrial Trust Building is an icon of the Providence cityscape often depicited in art. 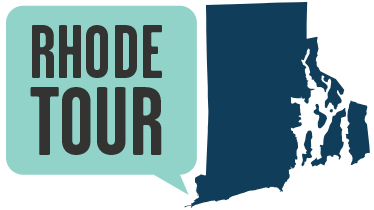 Amelia Golcheski, “Industrial Trust Building,” Rhode Tour, accessed April 21, 2019, http://rhodetour.org/items/show/203.